Padraig Harrington is one of three big names changing equipment companies as the new year begins on the PGA Tour. Reigning Fed-Ex Cup champion Vijay Singh, a long-time Titleist Pro V1 golf ball player, has signed a multi-year contract to play Srixon’s new Z-Star golf ball. Singh also has re-signed with Srixon's sister company, Cleveland Golf, to continue to play its equipment. Stuart Appleby, who spent the past several years with Bridgestone Golf, is moving to Callaway Golf Company (NYSE: ELY) and Harrington, the 2008 PGA Tour Player of the Year, has signed to wear FootJoy shoes. Singh's switch to the Srixon Z-Star golf ball is a rare loss for the Titleist brand, but perhaps not coincidental as Titleist parent Acushnet Company (Titleist, FootJoy, Cobra) is seeding a new generation of the Pro V1 family of balls of the PGA Tour. Early feedback from Tour players on the new generation of the Titleist Pro V1 family has generally been positive, but a few players, sources say, indicated the new Titleist Pro V1 spins too much. Singh gave no indication about why he switched other to say that, "I’ve thoroughly tested Srixon balls and I’m convinced that they’re better than what I’ve been playing." 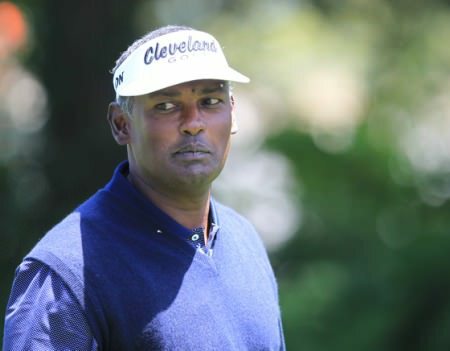 Singh, according to Cleveland, will play Cleveland’s Launcher ’09 driver and fairway woods, CG Tour irons, CG12 wedges, a Never Compromise putter along with the Srixon Z-Star golf ball. Appleby, who has spent the past several years with Bridgestone Golf, signed a multi-year deal with Callaway, giving the company a formidable trio that includes Phil Mickelson and Ernie Els. One of the more consistent players on the Tour, Appleby will play Callaway equipment and a Callaway golf ball. Harrington, who won the 2008 British Open and PGA Championship, will wear FootJoy’s new SYNR-G golf shoe, which begins shipping this month. Harrington had been wearing Hi-Tec golf shoes. Eighteen years since he first signed with the brand, three-time Major champion Padraig Harrington has again pledged his allegiance to Wilson Golf in a deal that will see him continue to play Wilson Staff clubs on a global stage. The Dubliner, 37, has given Hi Tec the boot after 12 seasons and signed up with the golf shoe giants FootJoy in a multi-year deal he hopes will give him an edge over his rivals. After claiming for years that Hi-Tec shoes added nearly 20 yards to his drives, Harrington believes he has found something even better and he wants to lace into the competition when he returns to action in Abu Dhabi in a fortnight. Steve Pike reports that Wilson Golf have lost the services of one golfer but signed two new boys. Padraig Harrington now has some company on the Wilson Golf staff. The Chicago-based company has signed Ricky Barnes and Brad Adamonis to use its Staff clubs. Harrington, the reigning PGA Tour Player of the Year, re-signed with Wilson Golf on a multi-year deal this past October. Pádraig Harrington with the Golf Swing ShirtPádraig Harrington has done well to maintain his usual good humour during his recent slump in form - at least publicly - and he’ll certainly be the perfect playing partner for the winners of The Golf Swing Shirt Company’s “Play with Pádraig” promotion.